No, the 120PS 1.6-litre diesel engine under the bonnet of this Volkswagen Passat isn't the most inspirational powerplant, but the car is smooth, refined, beautifully finished and sensibly priced. Fuel economy of 70.6mpg ins't going to put a big dent in the budget either. It's one of the fundamentals of car buying. Never buy the entry-level version. It's the one that's had all the costs stripped out of it and is merely there as an artfully laid trap, suckering you into a dealership with its tempting price, only for a shiny-suited salesman to inform you that nobody will ever buy it off you when the time comes to sell and what you really need is several thousand pounds more expensive. 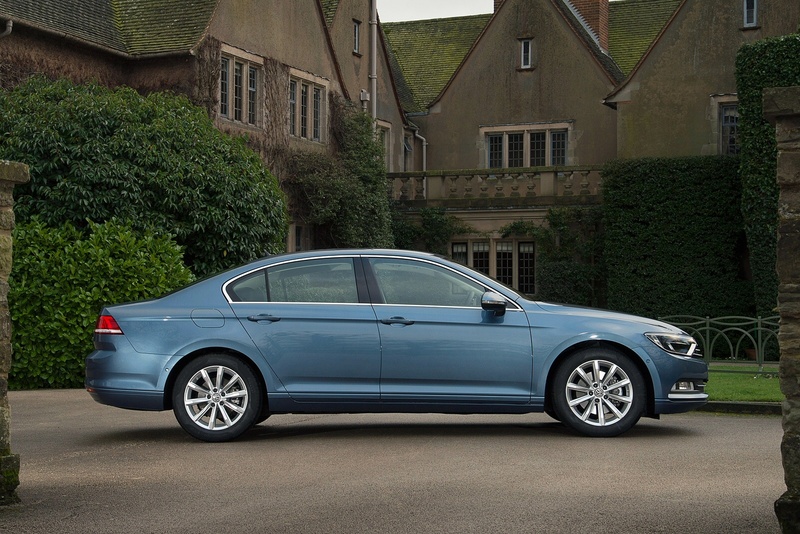 We've had the opportunity to run the rule over the latest eighth-generation Passat range and it's true, you should definitely avoid the basic S model. But the entry-level engine? Well that's worth looking at. The 1.6-litre TDI diesel certainly has something to be said for it. While the 1.6 diesel does indeed have a lot to be said for it, straight line performance isn't really a big part of the appeal. It's not exactly glacial but you'll feel as if you're giving the engine a merciless whipping if you try to replicate Volkswagen's 10.8 second sprint to 62mph. With 120PS on tap and a respectable 250Nm of torque available from just 1,750rpm, the Passat doesn't need to be driven like a berserker to impress. Volkswagen has put a lot of budget into improving the refinement of this car and tickling around on the diesel's swell of torque - the tacho needle barely lifting above 2,000rpm - is the way to go. 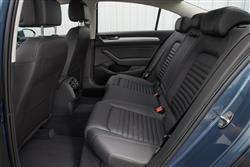 Volkswagen offers a choice of two transmissions with this car. The default option is a six-speed manual which is well-weighted and positive in its action and it's where most sales will go. Alternatively, there's a seven-speed DSG twin clutch box that works very well with the torque response of this four-cylinder engine but adds £1,600 to the asking price. At this end of the range, that's a significant proportion. 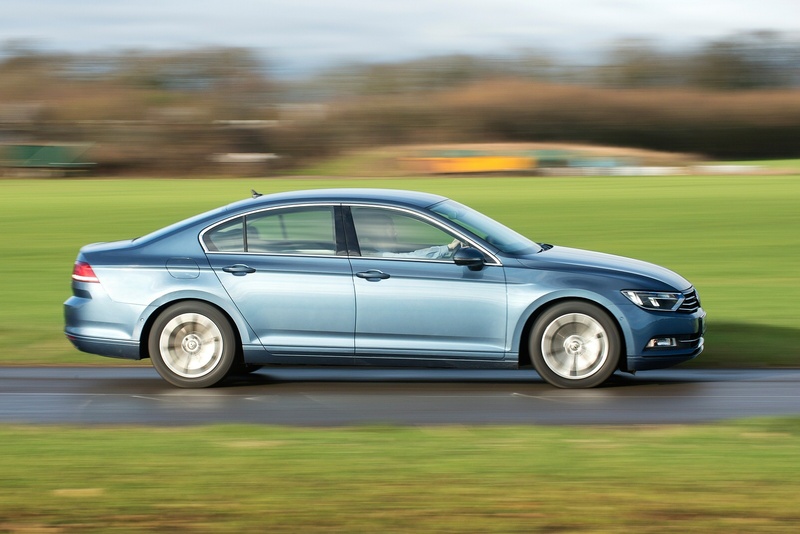 The smaller the wheels you can specify on this car, the better the ride - and ride is what the Passat is all about. Start throwing 18-inch alloys onto it and you're really rather missing the point. The difficulty in attracting buyers away from the likes of BMW and Audi is that you need your product to offer all the attractions of a BMW and Audi but at a more competitive price. 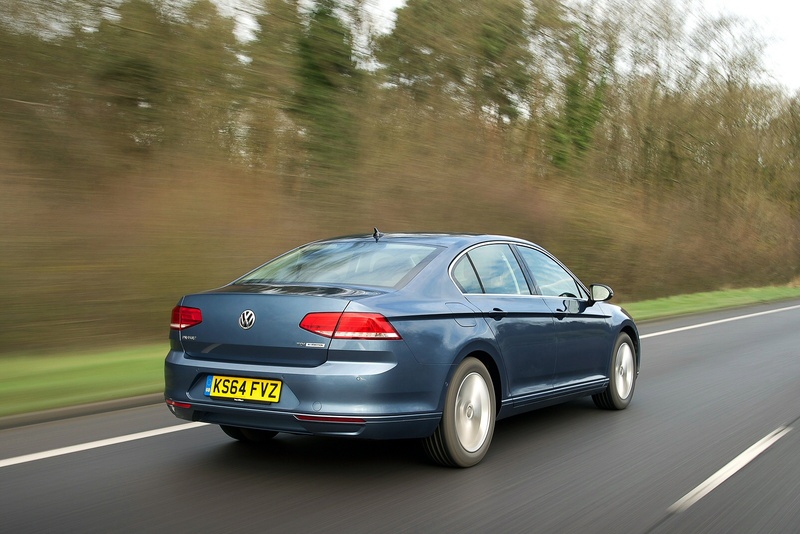 That includes looking as expensive as these brands, which is something the Passat has often struggled to achieve. Not any more. 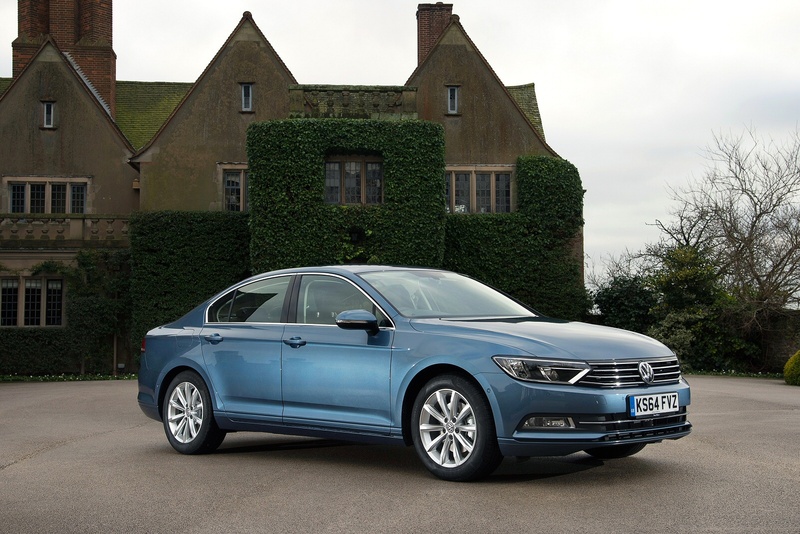 At least not from the outside, where the latest Passat looks sleek, chiselled and polished, with head and tail lights that emphasise the car's width. In fact, the latest car is a touch shorter but both lower and wider than before and with 79mm more built into the wheelbase, there's more space in the cabin. 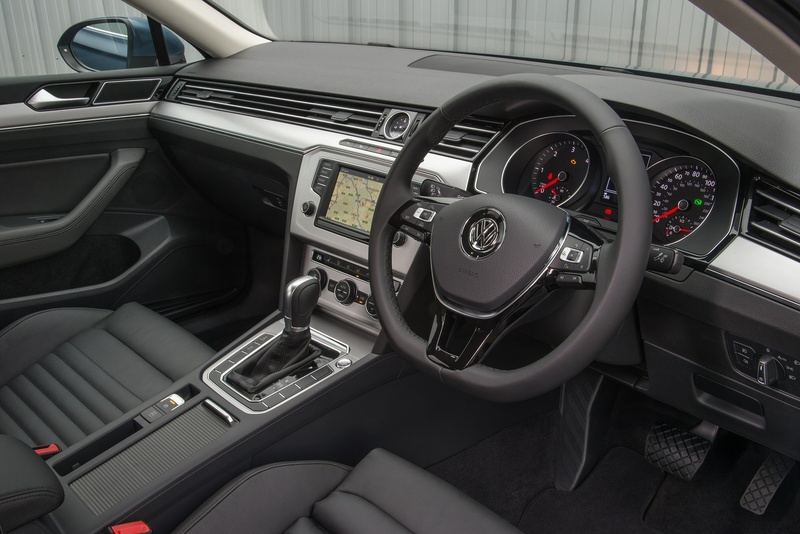 The dashboard is a good deal more setsquare than before, although Volkswagen would probably call it 'architectural' and now features a big central screen and a set of optional digital 'virtual' dials. 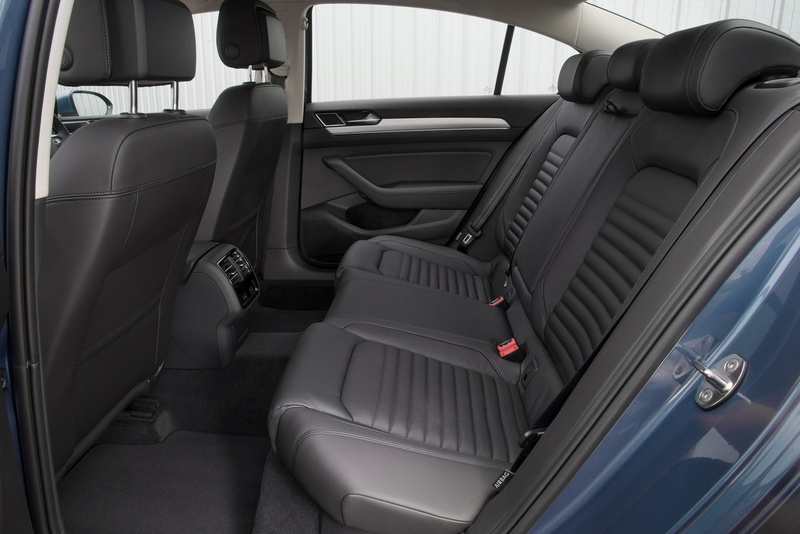 The seats, as in most Volkswagens, initially feel unyielding but are supremely comfortable over longer distances. Three adults can fit in the back too. 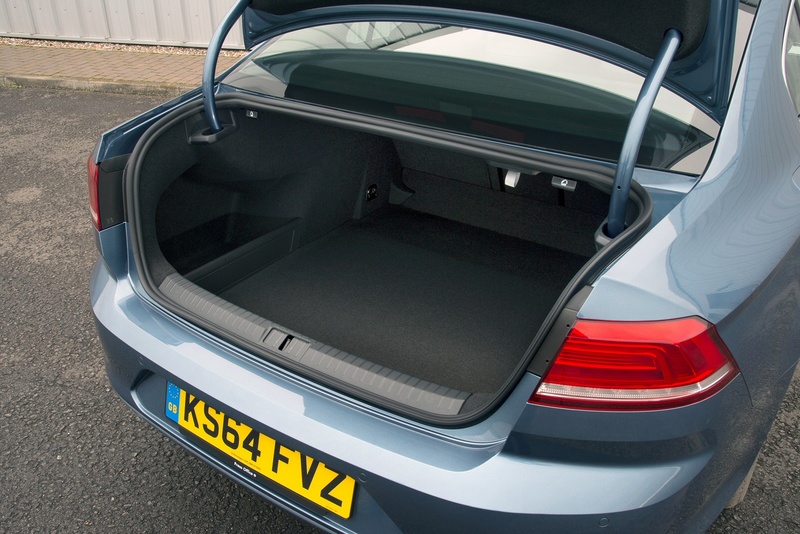 The boot measures an enormous 586-litres (up from 565) while the estate gets even more, with 650-litres available under the tonneau (up from 603). Prices start at just over £22,000 for the 120PS diesel in S trim, but the value is in stepping up to the SE model. Stick with the S and you get brushed chrome dash inserts, keyless start, 16-inch alloy wheels, a leather-trimmed multifunction steering wheel, a 6.5-inch colour touch screen with DAB radio, Bluetooth and an SD card slot. The display can also read and send SMS messages if you've got an Android phone and the sound quality from the eight-speaker stereo's a lot better than most entry-level cars in this class. Drop the additional £1,100 to graduate to SE trim and this nets you 17-inch alloy wheels, a pair of brilliant ergoComfort front seats, a load-through rear bench, LED reading lights and door warning lights, the PreCrash occupant protection system, adaptive cruise control, parking sensors, automatic lights and wipers, and a whole host of other nice-to-haves. Estates tack another £1,500 onto the asking price of the four-door cars. 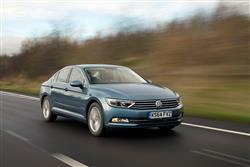 The Passat 1.6 TDI's running costs look pretty good at first glance. How does combined cycle fuel economy of 70.6 grab you? 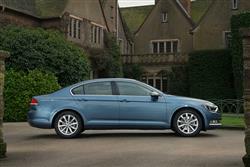 That's what's on offer with the lower trim grades, the 18-inch wheels of the Passat GT dropping that to 67.3mpg. If that's still not good enough, ask your dealer about the BlueMotion version which lifts economy to 76.3mpg. 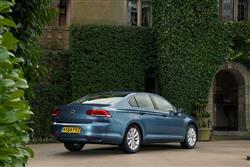 Emissions are rated at 95g/km for the BlueMotion and 106g/km for the entry-level Passat S in manual guise. Go for the DSG box and that nudges emissions down to 103g/km. 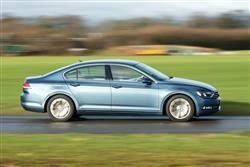 Used car industry experts CAP Monitor have also advocated strongly for the Passat's predicted residual values. 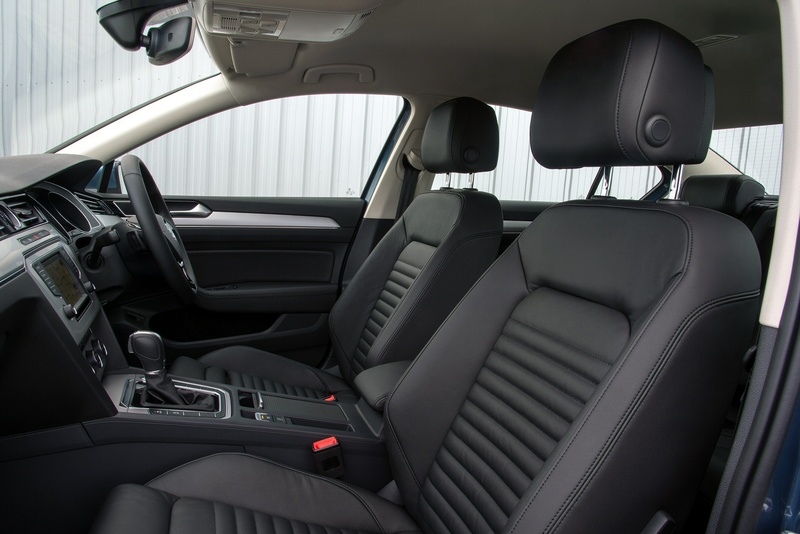 The 1.6-litre TDI is sure to be popular with both private and fleet buyers, but it's doubtful that oversupply will saturate the market. If you�re looking for a new Volkswagen Passat 1.6 TDI S 4dr Diesel Saloon for sale, you�ve come to the right place. At Bristol Street Motors we don�t just have the best Volkswagen Passat 1.6 TDI S 4dr Diesel Saloon deals, we also offer friendly advice and help with all your enquiries to ensure your buying experience is a happy experience.